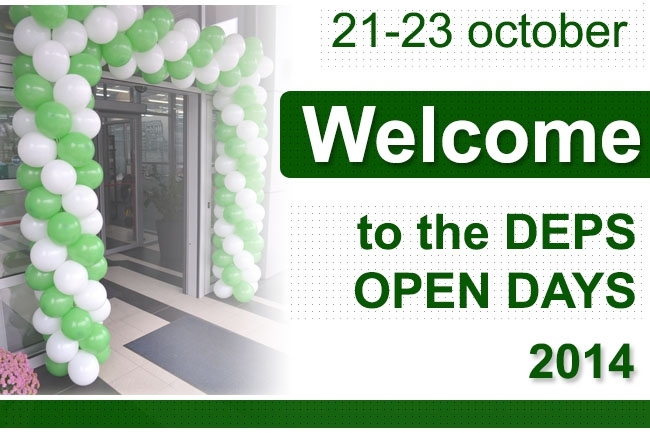 DEPS invites you to Open Days, which will take place on the 21-23th of October at our office. During OPEN DAYS you will be able not only to examine our new products and interesting solutions, but also personally to get acquainted and communicate with CEOs and engineers of the company, take a look at the work of the DEPS team from inside. Also during all days (on October 21 — 23) representatives of the Teleste companies (Finland), INNO Instrument (South Korea), Ruckus (USA) are ready to answer all questions at our office concerning the produced equipment! On October 22, during "OPEN DAYS" event, free conference will take place with the assistance of representatives INNO Instrument (South Korea), Ruckus (USA), Dune HD (Taiwan), Gazer (Taiwan), etc. The detailed program of conference will be published later. Registration for conference is obligatory. We are waiting for you on October 21-23 from 9:00 a.m. to 6:00 p.m. at the address: Kiev, 18 A. Bubnova St.
From KyivExpoPlaza exhibition complex (2B Salyutnaya St.) to office of DEPS a bus will depart at 11:30, 13:30 and 15:30 all days of the EEBC-2014 exhibition! (on October 23 — departure at 12:00). If you have any question concerning the transfer from KyivExpoPlaza, please call our responsible manager (tel. : +380671011182), who will be waiting for you at the exit "В" of KyivExpoPlaza. Feel free to visit our photo-page at Facebook. You may ask for more detailed information about event from managers of DEPS company by phone +380 44 323 88 88.